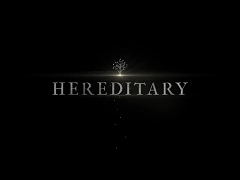 The “Hereditary” promotion tour has landed back in the United States. Yesterday, Toni was a guest on “The Late Show with Stephen Colbert” – her first visit to the show – talking about the film, being a “surprise Australian” and the old story of the faked appendix. Screencaptures have been added to the photo gallery and the video can be re-watched in the video archive. Enjoy. Yesterday, Toni’s appearance on “The Graham Norton Show” has been broadcast. 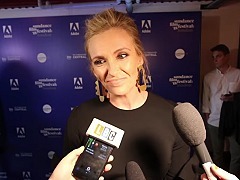 It’s been her third visit to the show (you can re-watch them all in the video archive) and it has been another delightful and funny interview. Other guests on the couch were Ethan Hawke, Aidan Turner, Jo Brand and Liam Payne. Additionally, Toni has been interviewed on BBC5’s Radio programme. 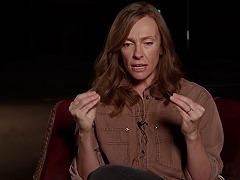 And A24 has posted a big batch of new television spots, featurettes and a first clip from “Hereditary” to scare us all up for next Friday’s release. 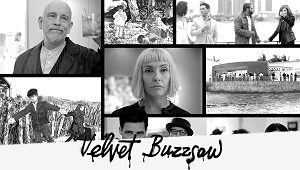 Below is a list of all added videos. 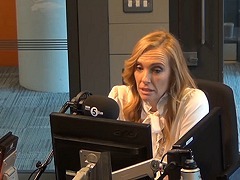 Toni Collette has been a guest via sattelite on “This Morning” for an interview about “Hereditary”, the upcoming BBC series “Wanderlust” and her love for London. The full interview can be watched above and in the video archive. Screencaptures have been added to the photo gallery. 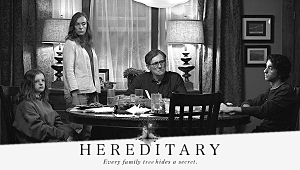 A24 has started the promotional tour for “Hereditary”, which will be in full swing by the end of the week. After a press junket in Los Angeles last week, from which video interviews are now being released here and there as we speak, Toni will be in London to attend the British Sundance Film Festival to talk about the film and will also be a guest on Friday’s “The Graham Norton Show”. Quite a few reviews are being released already for the film’s June 15 release, but this time I’ve decided to not read anything and see the film without any spoilers. The first batch of press junket interviews have been added to the video archive, pictures from the event can be found in the photo gallery and below is IMDb’s chat with Toni and co-star Alex Wolff. Enjoy and check back for more updates this week. This coming Sunday is Mother’s Day, that annual celebration when we all let our moms know just how much they mean to us. Some of us do it with flowers, some with chocolate, and some with the perfect card that says everything that’s in our hearts. But this year why not get the woman that raised you something different? Like two ticket movie tickets for a fun night out. Though based on the new “Happy Mother’s Day” trailer for the horror film Hereditary, you might need to find a less traumatizing way to say “I love you.” The latest teaser for Hereditary–a movie so scary it had audiences at the Sundance Film Festival losing their minds, and (hilariously) terrorized parents and children when a trailer for it accidentally aired before Peter Rabbit–wishes all the moms out their a Happy Mother’s Day this year. 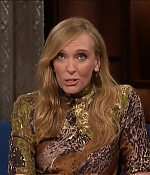 But hopefully none of our moms will be haunted by demons and burning men on their special holiday–or any other day–the way Toni Collette is here. Bits were written by Nerdist, check their site for more. Ahead of its arrival on DirecTV in just weeks, Saban Films has released a new trailer and batch of images for director Alexandre Moors’ upcoming Iraq War drama The Yellow Birds which stars Jennifer Aniston, Alden Ehrenreich, Tye Sheridan, Toni Collette, Jason Patric, and Jack Huston. Its official synopsis reads: “Against the explosive backdrop of the Iraq War, young soldiers Brandon Bartle (Alden Ehrenreich) and Daniel Murphy (Tye Sheridan) forge a deep bond of friendship. When tragedy strikes the platoon, one soldier must return home to face the hard truth behind the incident, and help a grieving mother (Jennifer Aniston) find peace. With a compelling mix of battle action and poignant drama, The Yellow Birds is an unforgettable movie whose power resonates long after the final frame.” You can watch the trailer below. Screencaptures and production stills have been added to the photo gallery. The Yellow Birds arrives on direcTV on May 17th and is set for a theatrical release on June 15th.